This exceptional throne chair is wondrously decorated with intricate Boulle inlay and sublime ormolu mounts, and is quite literally 'fit for a king'! 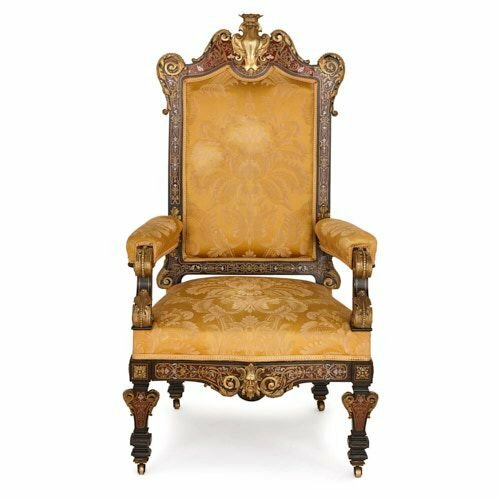 The grand and imposing throne armchair has a tall back and stands on four shaped, triangular legs, which rest on brass castors. 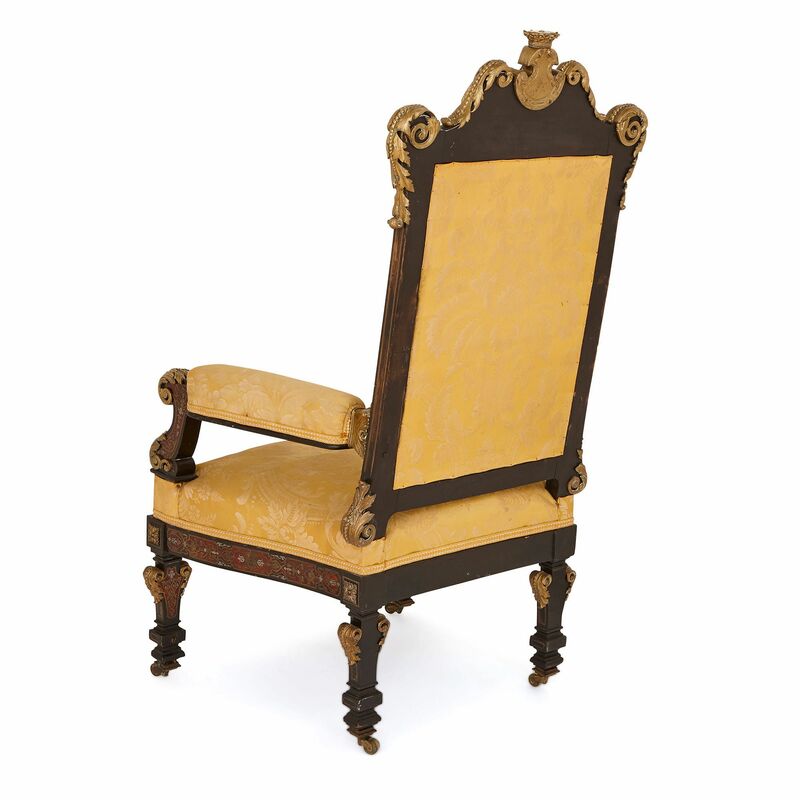 The chair frame has been crafted from ebonised wood, and is decorated to the highest standard with Boulle marquetry, combining inlays of tortoiseshell, brass and pewter, to form strapwork borders, containing scrolling, foliate patterns. 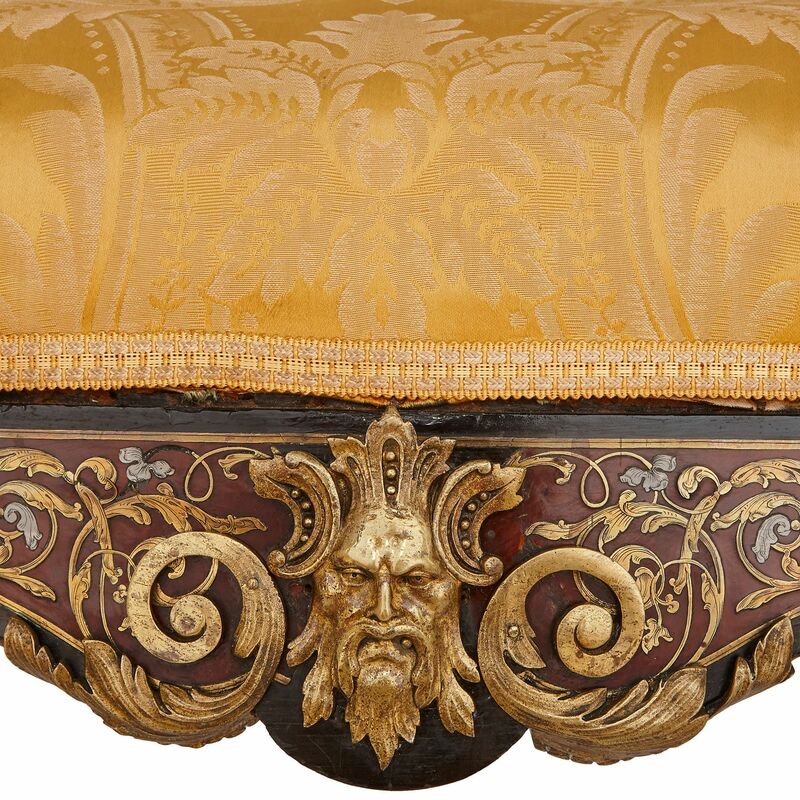 The chair legs are mounted with scrolling, ormolu acanthus leaves and square, symmetrical foliate panels. The chair apron, that spans the space between the front two legs, is shaped, and is decorated by a central, ormolu Green Man mask. 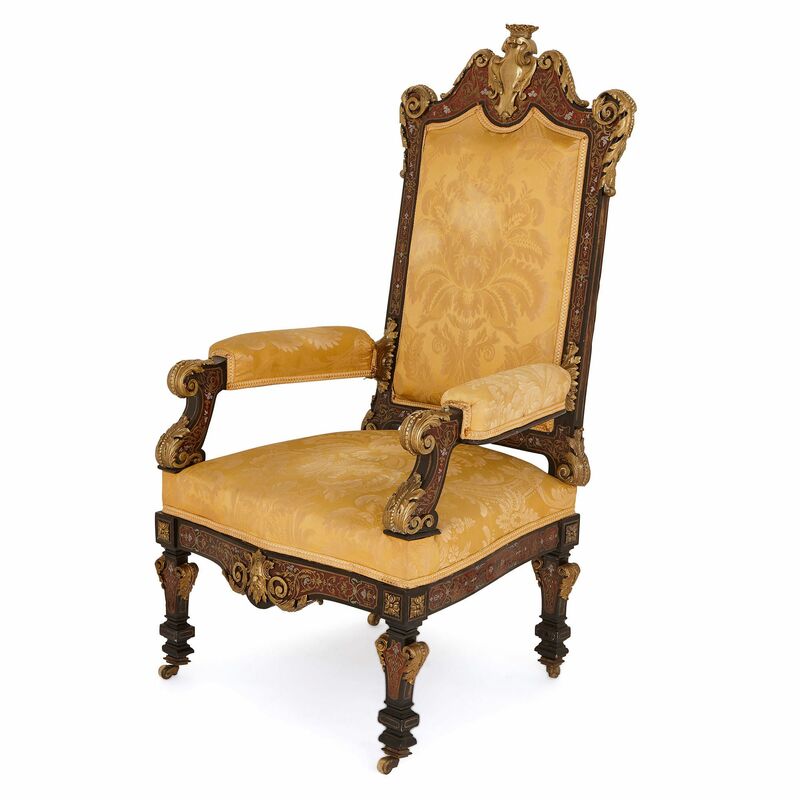 Above, the scrolling arm supports feature acanthus leaf ends, and the tall chair back is similarly mounted with curling, ormolu acanthus leaves. 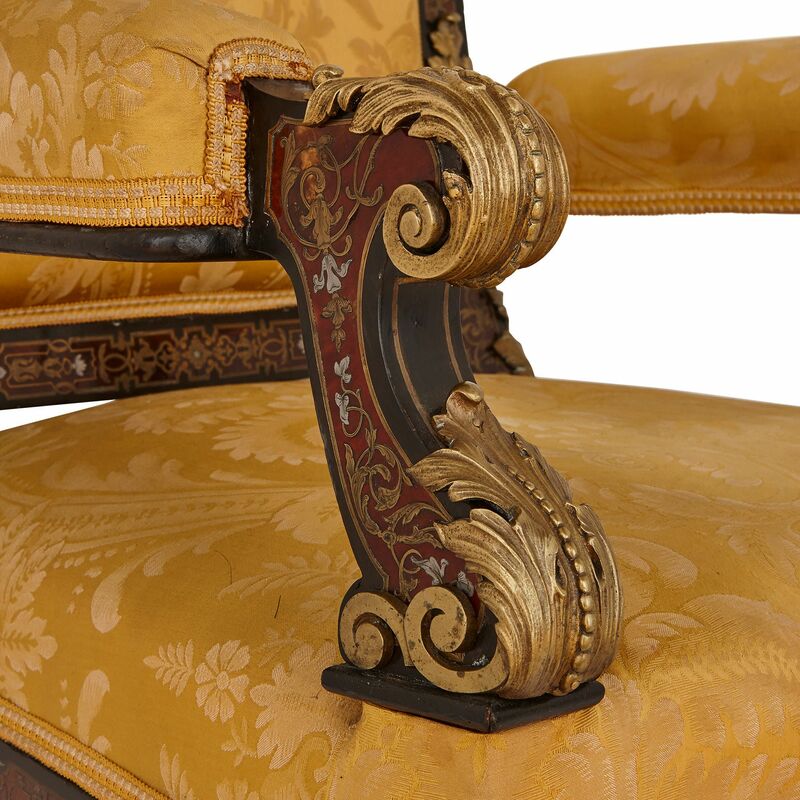 The top rail of the chair is shaped, and its centre is ornamented by more ormolu leaves, and an elaborate ormolu cartouche, topped by a coronet. 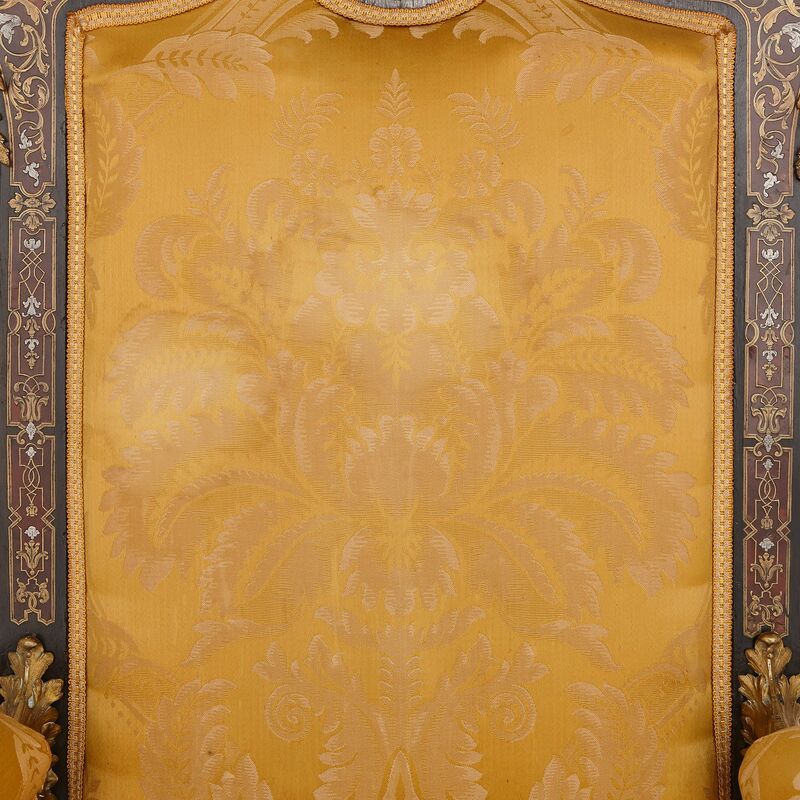 The chair seat, arm-rests and back have been upholstered in a golden-yellow fabric, which is subtly decorated with white leaves and flower heads. 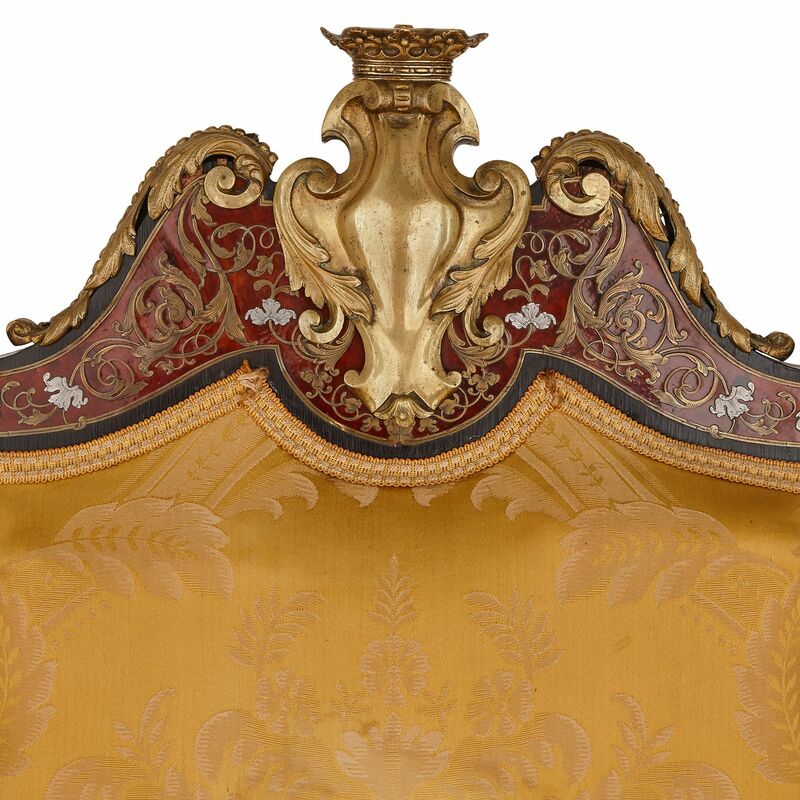 The colour of the fabric complements the gold of the ormolu and the deep red hue of the Boulle work.